for BMW F-series cars CAS4. 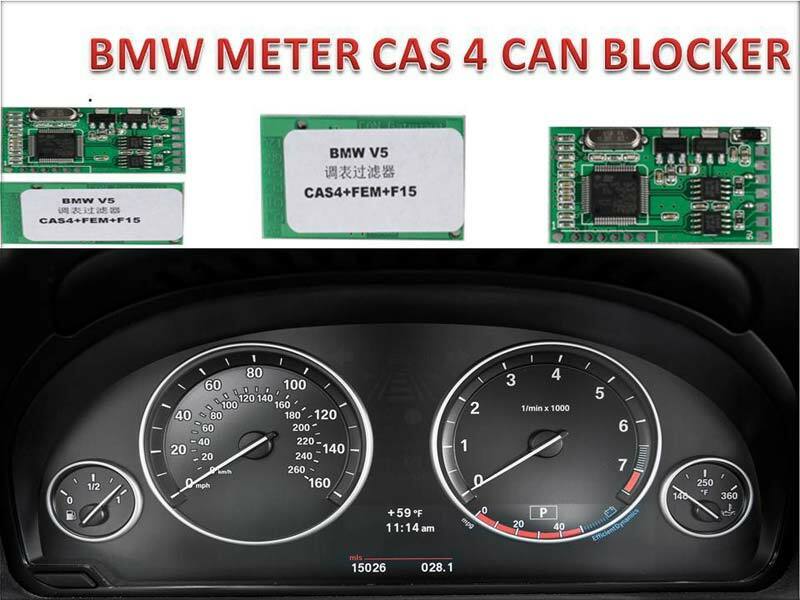 CANEMU block odometer value from CAS4 to instrument cluster and diagnostic tester. CANEMU is tested on F01, F02 with 1L15Y processor, F10 and F07 (BMW GT) with 1L15Y and 5M48H processors and on F25 ( new X3). After CANEMU installed in CAS4, dealer workshop scanner or diagnostic tester (BMW ICOM or INPA) will show main odometer mileage in CAS4 the same mileage as on instrument cluster. - New for BMW F-series cars with FEM: F20, F30, F31.